Citrus thrips are tiny insects (0.7 to 1 mm in length), and orange yellow in colour. Young stages are wingless, but adults have 2 pairs of narrow wings. Damage is caused by larvae and adults feeding on young twigs, leaves and fruits. 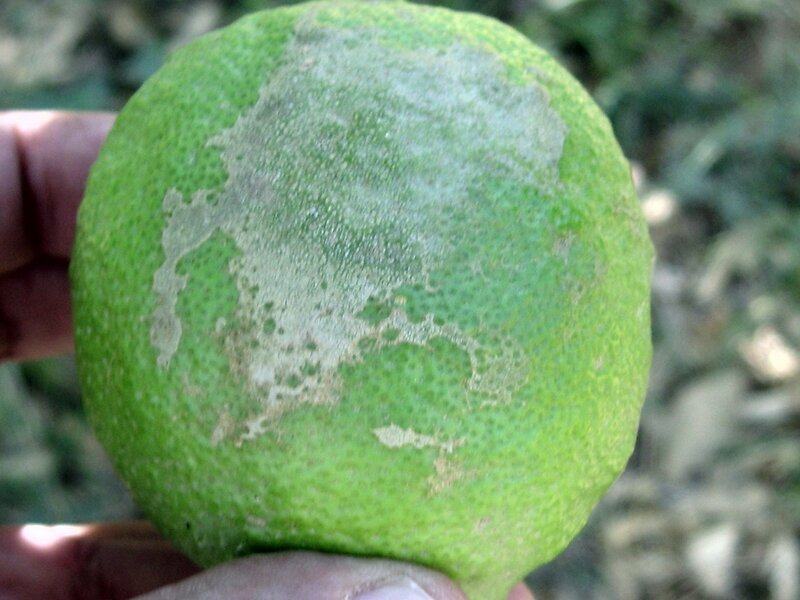 Thrips feeding produces brown blemishes on the rind. 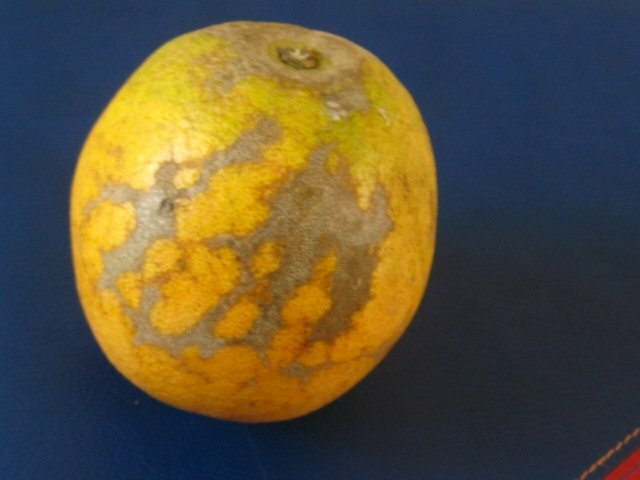 Typical damage is the presence of rings of brown russet marks around the stem of the fruit. The damage is cosmetic and does not affect eating quality. 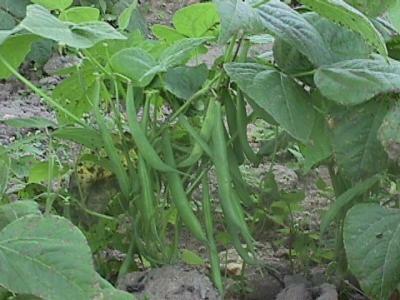 However, external fruit blemishes can be so severe that the fruits are unmarketable. New shoots can be severely damaged. 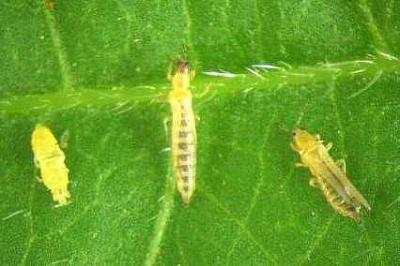 If thrips are abundant on young twigs, their feeding causes deformation of the twigs, which become thickened and distorted. In severe infestations, the leaves are deformed; young leaves are underdeveloped and drop when touched. Neem is effective against this thrips species.